When I tought myself to paint in watercolors eight years ago one of the first pieces I painted was a portrait of Karen Elson. It was right after she released “The Ghost Who Walks,” an Americana album that proved she was more than just a pretty face or Jack White’s wife. It was pretty basic (my portrait not Karen’s music), but I do think the best way to learn something is to focus on what interests you. 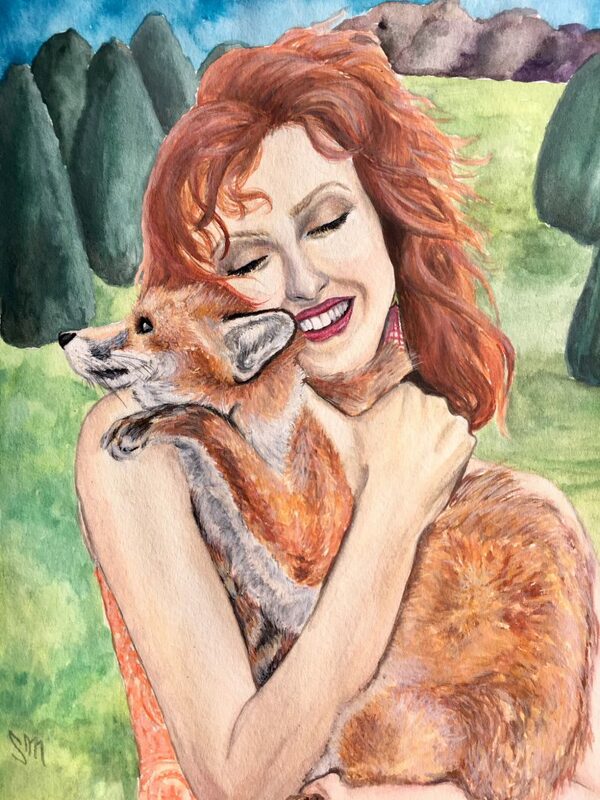 Here we are now in 2018 and I’m still fangirling, painting Karen again, this time inspired by a photo shoot she did last year for Harpers Bazaar UK by Richard Phibbs, in which her co-model was an adorable fox.